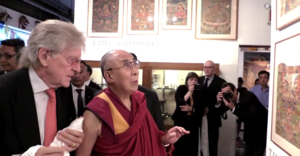 Tibet House US was founded in 1987 at the request of His Holiness the Dalai Lama, who stated his wish for a long-term cultural institution to ensure the survival of Tibetan civilization and culture. In 1998, THUS opened its permanent public space in the bustling Flatiron district near Union Square. The 7,000-sq foot loft houses a library, research area, archive, authentic Tibetan shrine-room and gallery. 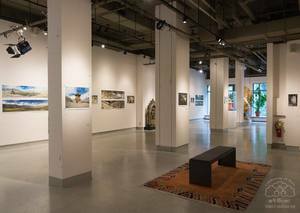 Today, the gallery hosts four to five exhibitions annually which reflect the diversity of international Tibetan communities. Featuring artists from Tibet, neighboring regions and the West alike, the gallery provides a platform for those inspired by Tibetan Buddhism to present their works. Inviting artists and patrons to share in the growing global awareness of Tibet and its place in the world, the gallery supports the emerging Tibetan contemporary market and the preservation of ancient Tibetan works with its permanent Repatriation Collection. 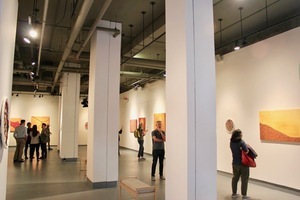 The gallery serves as a dynamic cultural center uniquely dedicated to preserving, promoting and presenting Tibetan artworks and their related practical systems of spiritual philosophy and sciences. Regularly hosting multimedia, innovative programs in partnership with other cultural, community, and educational institutions, THUS gallery strives to promote intercultural dialogues, nonviolence and peacemaking through art and performance.